You love toast, but you always burn it? 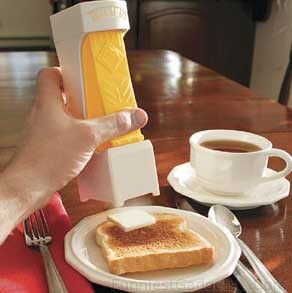 Then this invention is for you. 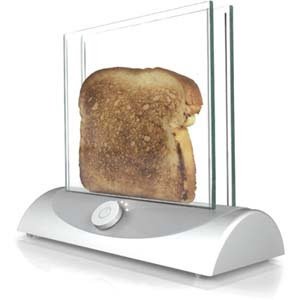 This transparent toaster allows you to see the bread while it is toasting so you just have to take it out when the color is right. This idea is based on a transparent heating glass technology. What day is today? 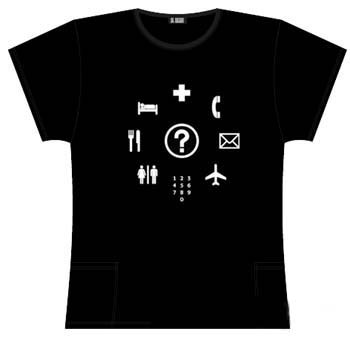 You don't know? 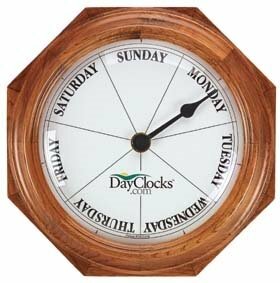 Then you need a Day Clock. and cruises when it's easy to lose track of the day. 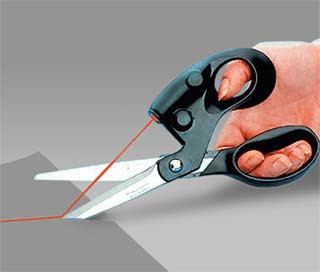 Laser Scissors Cutting a straight line has never been easier. Just aim the pin-point laser and follow the line. The scissor blades are stainless steel and cut very clean with a micro edge. I thought these were actually cutting with laser, but not. 'Who left the Toilet Seat up?' 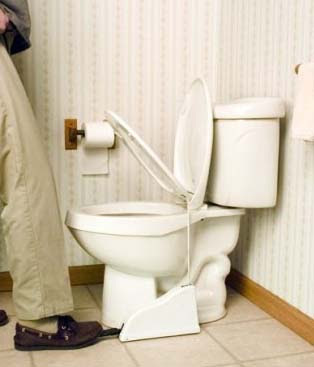 The Peace Maker will end the battle of the toilet seat. Merely step on the pedal to activate the lifting mechanism. When finished, remove your foot from the pedal and the seat gently comes to a rest where it started. This had to be a woman's idea. 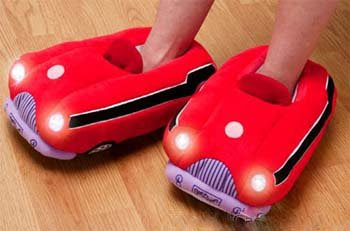 ultra-soft plush style are extra comfortable and cozy warm. The Zany is an ergonomic infant pillow designed by a mum to mimic the size, weight, touch, and feel of her hand and forearm to help her baby with comfort, support, protection, and development. The Zany can help calm your baby and help your baby sleep better through the night. 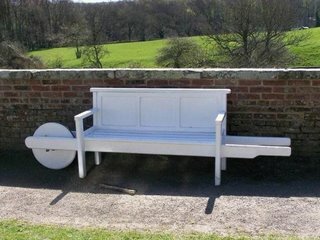 Whether you want to sit in the sun or in the shade, near the river or under the tree... Now you have your movable bench, to sit wherever you like.